A Tragedy That Shouldn't Happen To A Hero Dog A dog named Target thwarted a suicide bomber in Afghanistan and saved the lives of American soldiers. One soldier took her home for a life of love and pampering in Arizona. But a careless, thoughtless mistake by an animal shelter worker ended up doing what terrorists couldn't -- taking Target's life. Sgt. Terry Young says that when he was a U.S. Army medic in Afghanistan, soldiers were drawn to stray dogs who wandered onto their base in the Paktia province, searching for food and warmth. "Our rooms could be mistaken for kennels," he wrote. "With the cement floors, smell of urine and feces, razor wire and chain-linked fence all around the compound." A suicide bomber launched himself into those barracks last February. Three dogs who had been essentially adopted by U.S. soldiers, and named Rufus, Sasha and Target, snarled and snapped at the bomber. The man who had come there to blow himself up cringed at the loyal ferocity of the dogs and set off his bomb outside. Five soldiers were injured, but no one died. Well, not quite. Sasha was killed. Rufus and Target were wounded. But the medics lavished extra care and love on them, and as they healed, the soldiers and the dogs grew even closer. They had shared fear, loss and courage. 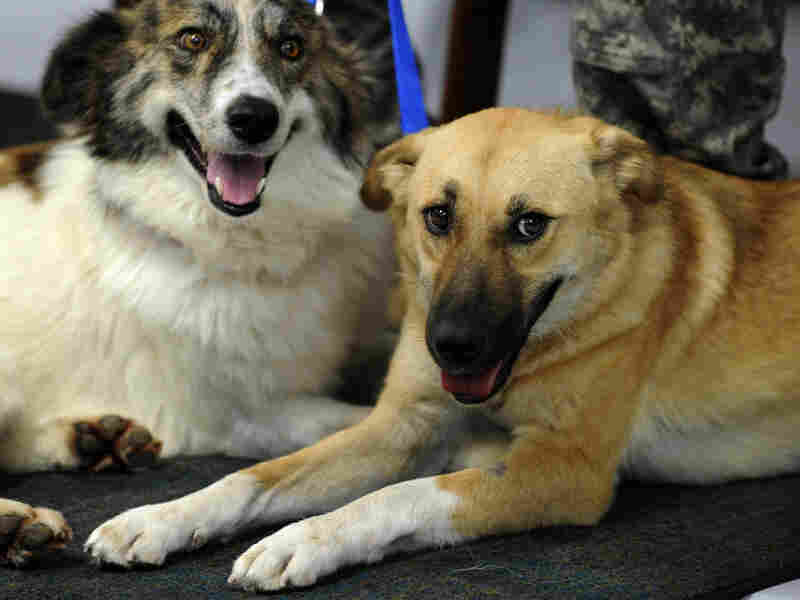 When the soldiers returned home, they raised thousands of dollars to bring their dogs, too. "They saved our lives," they wrote Army officials. "We want to make them a part of our families." Rufus joined a family in Georgia. Target came to live in Pinal County, Ariz., this August with Terry Young's family. Target was celebrated in the community and cherished by the Young family, especially their three children. Last Friday, Target strolled through the doggie-door of the Young family’s home and out into her neighborhood. She was found and taken to the animal control center, and later identified by Sgt. Young from an online photograph. But before Young could take Target home, someone at the center made a terrible, thoughtless error, for which the worker makes no excuses. Target was mistaken for another dog and euthanized. "I am heartsick over this," says Ruth Stalter, the center director. The employee who put down Target has been fired; an investigation has been ordered. A former worker at the center told local press that other lethal mistakes nearly occurred in the past. Ms. Stalter points out that people who work in animal control centers must love animals. But I have done enough stories in animal shelters to know that kind people working there might sometimes numb their nerves to put down so many dogs and cats, day after day. Sgt. Young wept this week as he told reporters how his 4-year-old daughter cries and says, "Daddy, bring Target home." A dog who saved warriors was killed by a careless mistake. But Target risked her life to save others and lived to feel the love of a family. She died in the line of duty.